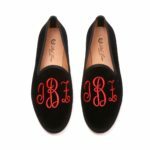 You may have heard your grandmother utter the adage, “If it doesn’t move, monogram it” and, back in the day, monogramming was reserved for needle-point art projects, throw pillows, wedding gifts, and the occasional suburban housewife’s button-down. But, as this fall has proven, monogramming isn’t strictly for household items anymore. 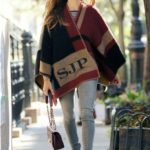 In fact, it has become a must-have trend for a legion of stylish fashionista like Sarah Jessica Parker, Olivia Palermo, and Poppy Delevingne. 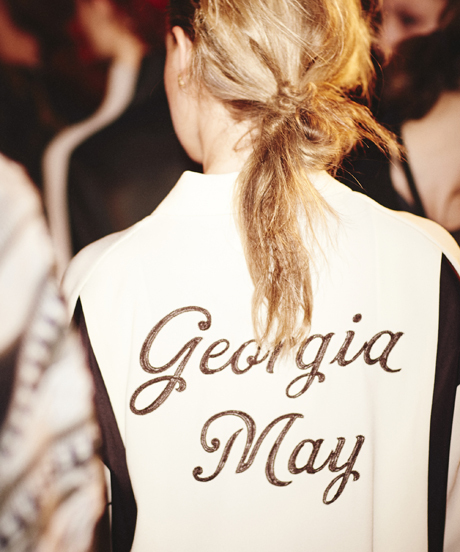 From Rag & Bone’s customized varsity jacket to Burberry’s monogrammed poncho, celebrities are clamoring over the monogramed trend, proving that wearing your name on your sleeve is more than just a fad. If you can’t get your hands on these hot ticket items, here are our favorite alternatives. MiH jeans offers a hand monogramming service on a variety of denim styles. Putting your significant others’ initials on their Phoebe Jean ($255) takes the term “boyfriend jean” to an entirely new level. For more clothing options, J. Crew monograms just about anything but we’re partial to this vintage style pajama set ($85) for a geek-chic sleeping ensemble. If you prefer to personalize your accessories, there is no shortage to add your moniker to. 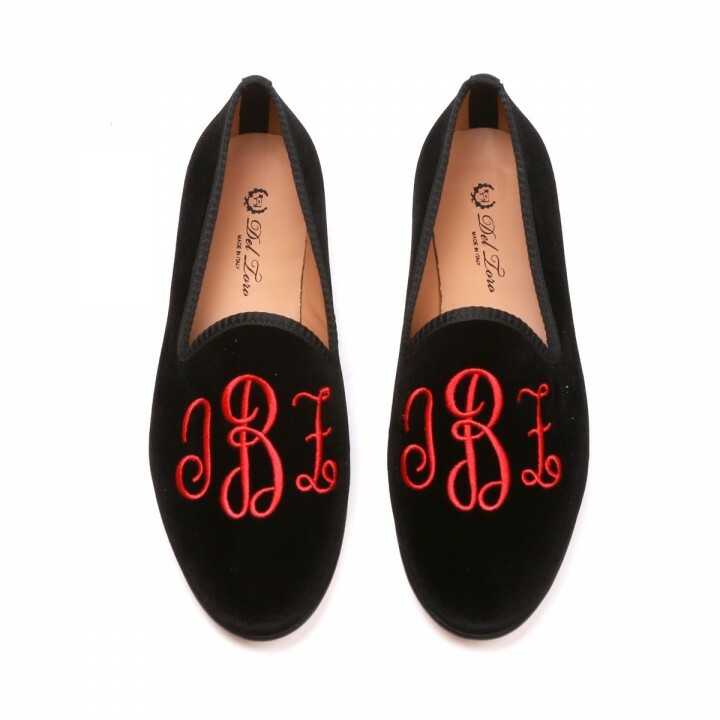 Custom Del Toro smoking slippers ($455) come in a zillion options and practically scream luxury. To avoid someone grabbing your new iPhone 6 by accident, nothing says “MINE!” like your initials on a phone case. Minnie & Emma’s Black and White Initial Case ($59) is both minimalist and chic. Every girl deserves at least one piece of jewelry with her initials emblazoned on it. Alex Woo specializes in necklaces that feature the most delicate and feminine letters. Put one together with your own name, or make your boyfriend happy and sport his. For your wrist, Auburn Jewelry hand makes enamel bracelets with your monogram-of-choice ($90). Handbags can’t be left out of this personalization party, and Edie Parker knows how to make a customized statement. 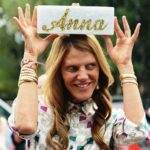 Their bespoke acrylic clutches ($1595-$1795) are adored by celebrities and socialites alike — check out fashion darling Anna Dello Russo (above) sporting one of their signature bags. During the day, a clutch can prove too small. GiGi New York makes a plethora of amazing leather accessories that you can emboss with your initials but we’re currently craving the Hayden Satchel ($495) in navy (the perfect day bag!). Yes, your luggage and hand towels can still display your initials, but this season, opt for clothing and accessories that are uniquely you and slap a name on it! Style: What Would Jane Wear?